Accessing a child’s upcoming medical appointments and immunisation records. 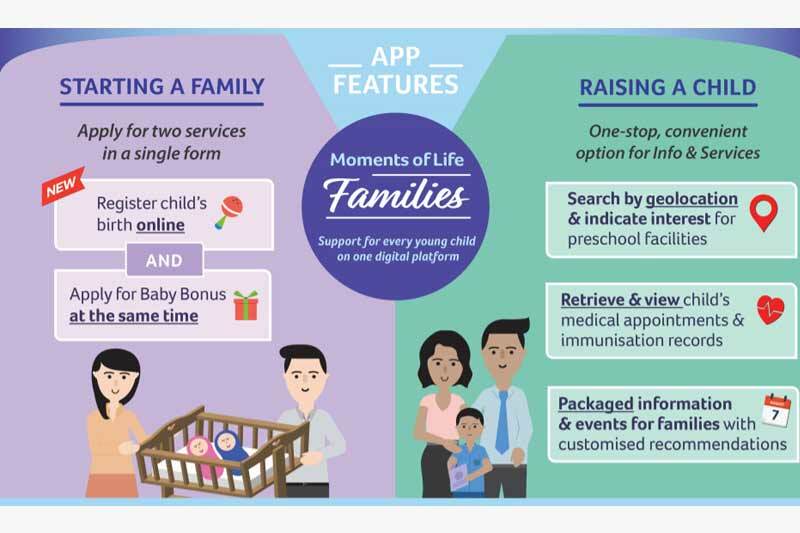 The MOL (Families) app also provides parents-to-be and caregivers with up-to-date Government content on applicable schemes and benefits, parenting information and event listings based on their topics of interest. The app is the first step towards delivering integrated services and information that citizens need, when they need it, through a single platform, and was developed based on insights gathered through citizen engagement sessions to identify and better understand parents’ challenges and needs. Download the app on the App Store or Google Play Store today!